Edited 1 time(s). Last edit at 05/27/2016 11:33PM by xssa. > in the kernel with my patch for the SATA driver. > need to do anything in the DTS for it to blink). > to see if there is anyway to activate it. I gave this a shot, but could not find the gpio that can turn on/off the SATA LED. Even for the STATA port 0! actually, no LED, except the Power LED, can be manipulated. It is apparently hardwired. If you can, examine the board SoC pinouts with magnifier, I think it would confirm this. Nice! but that's not gonna do it for me right now. To see that /etc/ssh/sshd_not_to_be_run file I will have to be inside stock OS. Currently, I can boot stock OS, but have no console for input (lost serial console input after stock OS booted). It's a catch-22. Something in stock OS always disable the ttyS0 console after booted. So I thought if I can ssh in, then I can see where that ttyS0 console was disable and restore it. I guess I'll have to connect a monitor and a keyboard to actually fix this. Something I'm not looking forward to (I donated all my old VGA monitors and PCs long ago). I'm traveling light :). Edited 1 time(s). Last edit at 05/28/2016 11:03AM by xssa. Cool! That's overlayfs information is what I'm missing without being inside the stock OS! Let me try it and let you know. I've logged in with SSH. Thanks! They've really tricked out this 512MB rootfs! Edited 2 time(s). Last edit at 05/28/2016 03:57PM by bodhi. Ok so here is how to enable serial ttyS0 (which we need to use serial console). Edited 1 time(s). Last edit at 05/28/2016 03:51PM by bodhi. From xssa's overlayfs idea, we do not need ssh to enable serial console on the stock os. > enable serial console on the stock os. Cool. This setting tip should go into the HP T5325 Display thread, it is simpler. But because we boot Debian first before we try stock OS :)) so it is kind of backward. I have owned and hacked my t5325 for a couple years now and had it running fine under Squeeze. I have it running with an internal 16GB SSD from it's internal 2nd SATA port - actually a SATA to mSATA/PCI-E adapter with a half slim 16GB SSD inserted. As discussed earlier, I had to add the 4 missing capacitors and add in a SATA lead/connector, which IIRC came from a Toshiba Tecra M5. I recently tried to install Debian Jessie and hit a wall (as normal). Anyways, with Google's help and this forum post I have managed to glue a vanilla Jessie into the 16GB SSD. So, this post is to encourage others, to give back some of what I have got from others and remind me of what I have done (I'm getting old and forget stuff !!) . Once rebooted,I had a console via the serial line, but not from the VGA adapter. Reboot and voila, text on the VGA screen. I only run mine headless so it's good enough as it is. with an ‘empty’ variable and it will remove the line. 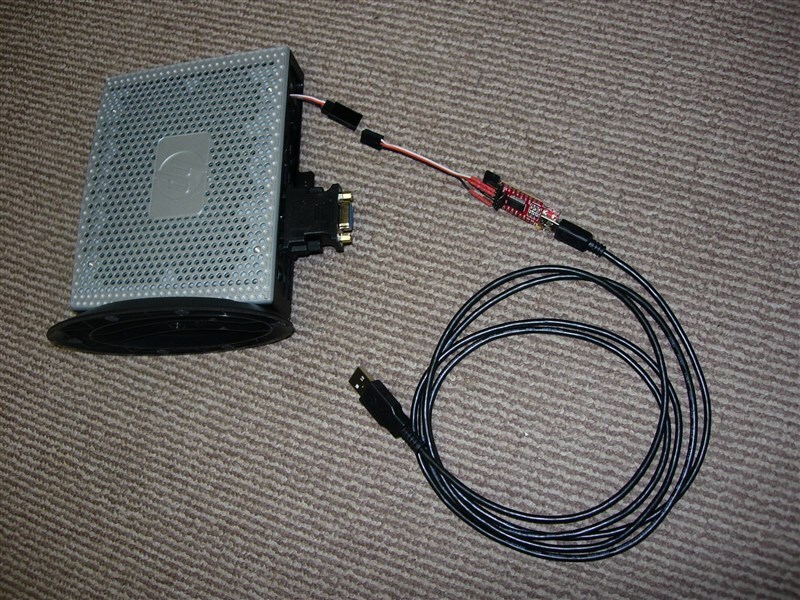 I leave the serial lead permanently connect and hook in an FTDI serial adapter when needed. I also added a foot from an old Shuttle mini PC. Not bad for an all up price of a Raspberry Pi (not counting endless hours doing battle with it!). With my t5325 I can make it run from the original 512Mb drive (sda) by running the 'thinpro' boot command. I also have an HP T5745 with a 120Gb SATA SSD attached internally (Intel Atom), a 10zig (Intel Atom) with 16Gb internal SSD plus a couple other hacked devices, including a Wyse H12v (Kirkwood 1.2GHz) but it's a SOB with Chrome 9 graphics and will not run in a Debian desktop, so it's resigned to a portable command line only machine. I guessed you have not read this thread? 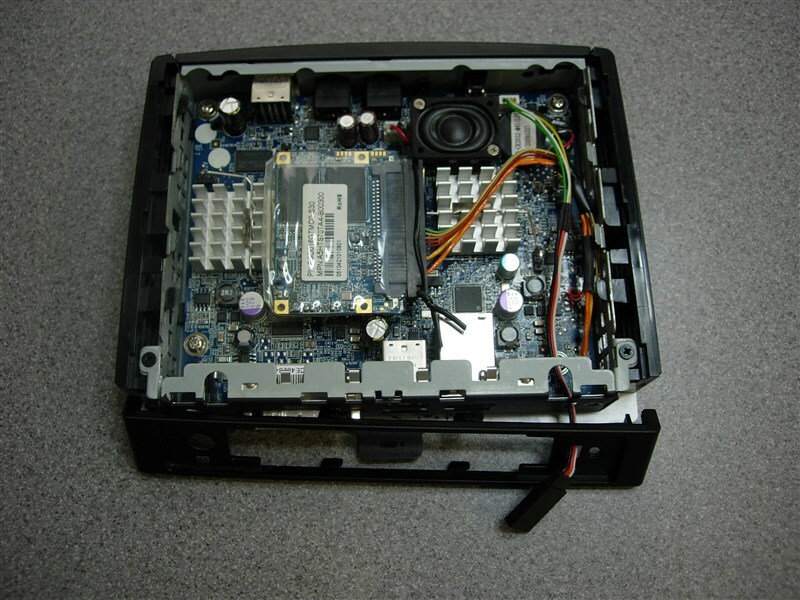 We are running kernel 4.6 and u-boot 2016.05 on this box! Yes, I 'power read' the thread and cherry picked the bits I needed and thought I'd contribute a little as a way of giving back something and not just taking. After that, everything is else is just a walk in the park. Edited 1 time(s). Last edit at 06/23/2016 05:00PM by bodhi. First have stock uboot, debian on internal storage, but dead vga card. Second have bodhi's uboot, same debian as first one with 3.x kernel. Yesterday I have problem with LAN. It can not work. one GREEN is on with no cable. I try to boot bodhi's debian filesystem, many 4.x kernels, but no success. Has anybody of you, same problem anytime ..?? or, may I try to flash stock uboot, to fix this issue ..?? > one GREEN is on with no cable. Which LED? the system LED or the ethernet LED? Do you have serial console? If not, did you set up neconsole on the 2nd box? Have you tried to create a new rootfs using Debian-4.4.0-kirkwood-tld-1-rootfs-bodhi.tar.bz2 on USB drive and boot the 2nd box with it? Netconsole not work on the first one, because stock uboot..
..(on the second one, because no net) .. I tried Debian-4.4.0-kirkwood-tld-1-rootfs-bodhi.tar.bz2 + linux-4.9.0-kirkwood-tld-1-bodhi.tar.bz2 / linux-4.10.0-kirkwood-tld-1-bodhi.tar.bz2 / linux-4.5.0-kirkwood-tld-1-bodhi.tar.bz2 with no success. Uboot env "machid ffffffff" is set, and all as I see is " Uncompressing Linux... done, booting the kernel. " With my image t5325 start successfuly. > With my image t5325 start successfuly. I am running kernel 4.10.0-kirkwood-tld-1 on my T5325, and have not seen this. If you post the entire serial boot log for this: from the u-boot baner until after you'velogged into Debian, perhaps I can help to troubleshoot the network problem. I leave t5325 without cmos battery one day ..
Now I try to boot with rootfs and try to ping someone.. 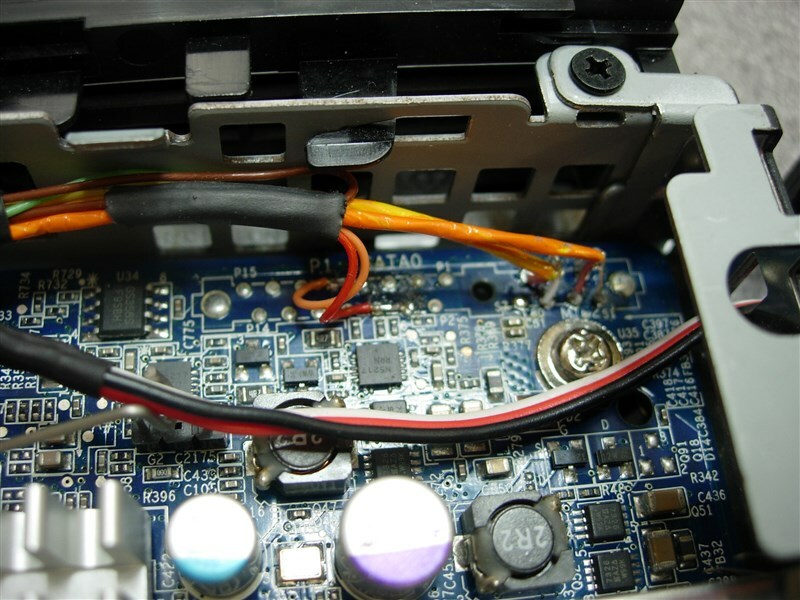 Does your kernel have usb-storage module inside ..?? > Does your kernel have usb-storage module inside . It is not easy to read this log. It got cut off and missing text in many places. Can you copy and paste the log to your post and put it in code tags? Here is log from my t5325, with Debian-4.4.0-kirkwood-tld-1-rootfs-bodhi image. Still no link on LAN ..
One green is on, after power on. All LEDs are off, when kernel starts. > ste the log to your post and put it in code tags? [    0.160591] Feroceon L2: Cache support initialised. [    0.260275] RPC: Registered named UNIX socket transport module. [    0.260286] RPC: Registered udp transport module. [    0.260294] RPC: Registered tcp transport module. [    0.260301] RPC: Registered tcp NFSv4.1 backchannel transport module. [    0.263451] Installing knfsd (copyright (C) 1996 okir@monad.swb.de). [    0.263683] jffs2: version 2.2. (NAND) (SUMMARY)  © 2001-2006 Red Hat, Inc.
[    5.205493] 0x000000000000-0x000000080000 : "uboot"
[    5.211668] 0x000000080000-0x0000000c0000 : "sdd_firmware"
[    5.218454] 0x0000000c0000-0x0000000d0000 : "uboot_env"
[    5.224940] 0x0000000d0000-0x0000000e0000 : "permanent_uboot_env"
[    5.232174] 0x0000000e0000-0x0000000f0000 : "hp_env"
There should be u-boot banner here. But by looking at your envs, your installed u-boot is an older version, not 2016.05-tld-1, must be 2015.10-tld-2. Your bootz command above won't work with the current envs. Apr  3 09:38:51 t5325 kernel: [   16.627390] Kirkwood: MV88F6281-A1, TCLK=200000000. Apr  3 09:38:51 t5325 kernel: [   16.627445] Feroceon L2: Cache support initialised. Apr  3 09:38:51 t5325 kernel: [   17.564482] jffs2: version 2.2. (NAND) (SUMMARY)  © 2001-2006 Red Hat, Inc.
Apr  3 09:38:51 t5325 kernel: [   18.197488] 0x0000000c0000-0x0000000d0000 : "u-boot env"
Apr  3 09:38:51 t5325 kernel: [   18.204004] 0x0000000d0000-0x0000000e0000 : "permanent u-boot env"
Apr  3 09:38:51 t5325 kernel: [   18.211361] 0x0000000e0000-0x0000000f0000 : "HP env"
Apr  3 09:38:51 t5325 kernel: [   18.217476] 0x000000000000-0x000000080000 : "u-boot"
Apr  3 09:38:51 t5325 kernel: [   18.223495] 0x000000080000-0x0000000c0000 : "SSD firmware"
Apr  3 09:38:51 t5325 kernel: [   18.275655] PM: Hibernation image not present or could not be loaded. Apr  3 09:38:51 t5325 kernel: [   18.619270] libata version 3.00 loaded. Apr  3 09:38:51 t5325 kernel: [   26.802750] RPC: Registered named UNIX socket transport module. Apr  3 09:38:51 t5325 kernel: [   26.808733] RPC: Registered udp transport module. Apr  3 09:38:51 t5325 kernel: [   26.813467] RPC: Registered tcp transport module. Apr  3 09:38:51 t5325 kernel: [   26.818202] RPC: Registered tcp NFSv4.1 backchannel transport module. Apr  3 09:38:51 t5325 kernel: [   27.428038] Installing knfsd (copyright (C) 1996 okir@monad.swb.de). Don't care about uboot env, it is modified many many times, for testing use..
and i try too much kernel and init versions, today I have booted your FS and Kernel successfully.. The common problem is there ..
My router have no APR record from marvell LAN also .. I will try to copy MX Flash from "working one" into this "bad one"
I try to work with this... for a last time ..
> [ 0.166712] No ATAGs? This is not a problem. You can safely ignore it. and then try to boot with working LAN. If they don't wok, then it will be a hardware problem ..
> and then try to boot with working LAN. Don't trash the box! This is a common problem with rootfs. You can solve it. It is very unlikely a hardware probkem. bodhi Wrote: ------------------------------------------------------- > Thanks for your contribution. > > I guessed you have not read this thread? We are > running kernel 4.6 and u-boot 2016.05 on this > box!